The SR&ED program is the largest single source of federal government support for industrial research and development. Despite this, approximately 60% of companies that are eligible for annual SR&ED funding, do not claim it. The SR & ED (Scientific Research and Experimental Development) program is a federal tax benefit created to encourage businesses throughout Canada to engage in R&D. The program applies to businesses that invest in R&D, exploring avenues that can lead to new, improved, or technologically advanced products or processes. The SR&ED program is the largest single source of federal government support for industrial research and development. In addition to the federal tax credits, most provincial governments participate as well. Combined, these tax credits total upwards of $4 billion annually, of which 75% is allocated to small businesses. Unlike standard capital investments that can only be deducted as a business expense, SR&ED can generate substantial tax credits ranging from 20% to as much as 80% of qualifying expenditures. If your company does not have any current tax obligations, the credits can be received as a cash refund or applied on forward taxes for up to 20 years. Despite this, approximately 60% of companies eligible to SR&ED funding yearly, do not claim it. At Canadian Refunds Inc. we are determined to help your company understand and receive its entitled benefits. We understand that most business owners are too focused running their enterprises to deal with the intricacies and expenses of applying for SR&ED funding. SR&ED is a tax entitlement - not a grant, and firm tax filing is necessary. The applying company will need an in depth report regarding the nature of their experiments and advancements. Additionally, the application requires proper accounting procedures clearly outlining the cost relations of these advancements. Another constraint on receiving funds is the expiry - all SR&ED applications must be filed on time, in order for tax credits and refunds to be approved and issued. At Canadian Refunds Inc. our entire staff has between 10 and 25 years experience in this process. This enables us to successfully cover these requirements, while keeping your end simple. Our team will look after diligently filing a claim on your behalf. Our technical engineers define and illustrate your experimenting and advancements, while our accountants will break down the expenditures in time and money. The payment of SR&ED usually take place between 2-4 months on a claim for the current tax year, and 8-12 months for claims on previous fiscal years. At Canadian Refunds, we offer advance financing on pending receivables to help your company keep their edge. Small businesses, both medium and small sized corporations, and sole proprietorships are all qualified for the SR&ED tax credit. 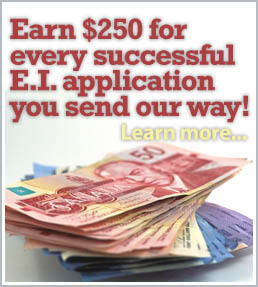 Any Canadian taxpayer who files a T1 or T2 is eligible for the tax credit. Eligible activities can be found in: Manufacturing, Biotechnology, Software, IT, Food and Beverage, Oil and Gas, Chemicals and Plastics, Mining, Computer programming, Data collection, Engineering, Design, Mathematical studies, Operations research, Computer programming, and Psychological research. The following do not qualify: Market research and sales promotion, commercial production of new or improved products and processes, standard data entry and collection for day to day business preparation, shareholder reports, and all other expidentures that involve the day to day operational maintenance of your business. Please inquire about your eligibility, as most companies are not aware that they do in fact qualify. To receive SR&ED funding, you do not need to create a completely new product or process. Even improvements that are small and incremental are eligible. Additionally, the improvements need not be entirely original. Similar,or even more advanced products may exist. As long as these improvements were implemented in your company as a new way to overcome any existing constraints or challenges, you are eligible. Even if your experiment was not successful as planned, you may still be entitled to the tax credit. Our staff is eager to help you determine if your company is a candidate. There is no risk to you, as we work on a contingency basis. If you don't get your refund, you don't pay. Like everything at Canadian Refunds Inc. - it's really that simple. Our rates are the most competitive in the industry, and unlike many of our competitors there is no retainer. If you have any questions or concerns, please don't hesitate to call or email info@canadianrefunds.com. 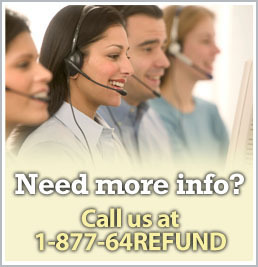 Call 1-877-64REFUND for more information or to arrange for a free, no-obligation consultation. View the Frequently Asked Questions page to find answers on other questions you may have.